Coastal Bait is a multi cuisine Restaurant and it specializes in seafood. It is in Regent Palace Hotel located opposite Burjuman Center and the Burjuman Metro Station, Bur Dubai. It is very easy to get there as it is just opposite Burjuman Metro. If you don’t want to drive, it is a great idea to come by Metro. You must be wondering what a vegetarian like me doing in a seafood speciality restaurant. They do offer Vegetarian cuisine. They have selection from Indian coast consisting of Goa, Mangalore , Kerala and Karwar regions. 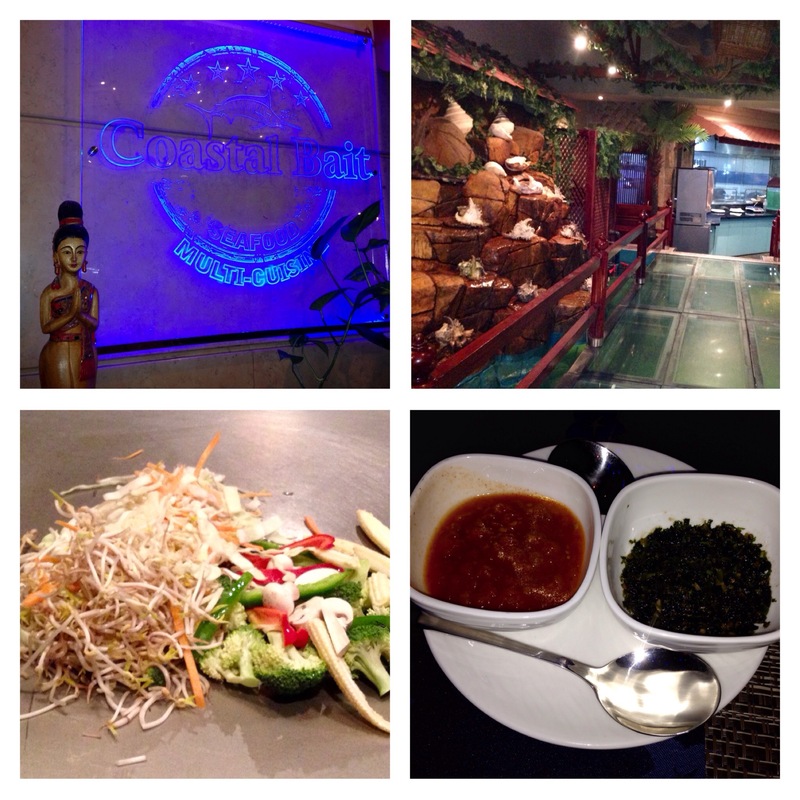 They also serve North Indian and Chinese Cuisine. The menu is vast and me and my hubby felt lost and didn’t know what to order as there was such a huge variety in the menu. So we decided we will ask the staff for suggestions. That was a good decision as it saved time and we could have their signature dishes. I think we should do this more often. You got it, I can be one lazy sloth, especially on a weekend. The seafood lovers will love Coastal Bait as they have a wide choice of seafood. 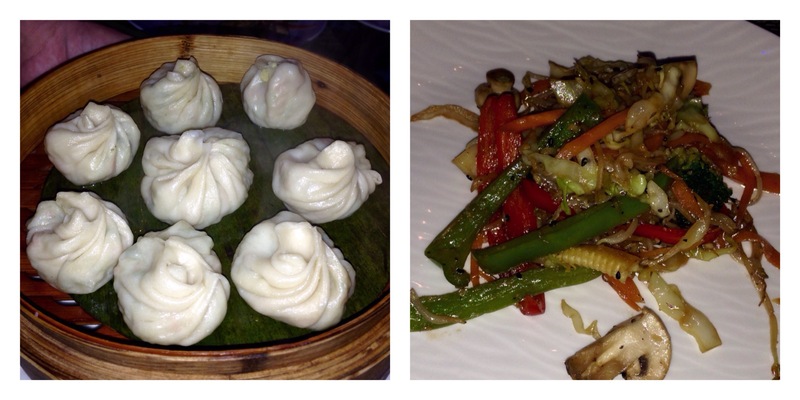 We decided to try the Vegetable Dimsum and Veggie Teppanyaki for our appetizer. It was delicious.The Teppanyaki was awesome, no wonder the Teppanyaki counter seemed to be quite popular with the customers at the restaurant. We decided to try the coastal Cuisine for main course. So we decided to have vegetable Gassi with Neer Dosa and Appam. Gassi is Mangalorean Style coconut gravy or curry. The fish Gassi and rice or Neer dosa is a staple diet of Mangaloreans. We liked Neer dosa and appams, it was just like home made. The Gassi was good too. If you like your food to be spicy, you will love the Mangalorean Gassi. 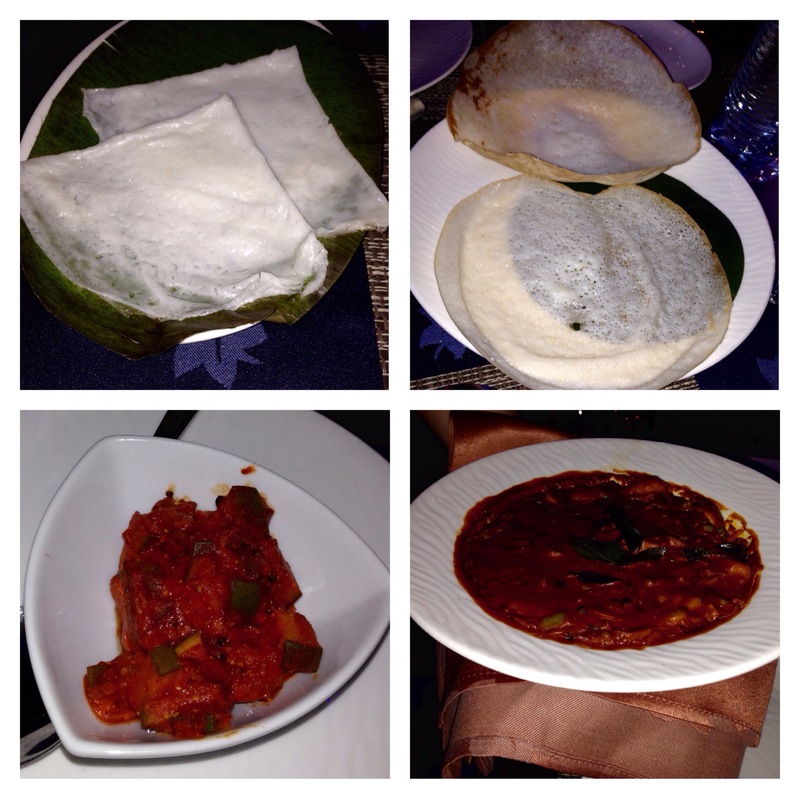 We loved the Mangalorean Pickle which was served with our food. The Mangalorean food was authentic, tasty and delicious. After this we decided to order rice from their Chinese menu. so we ordered Clay Pot Rice Vegetable. 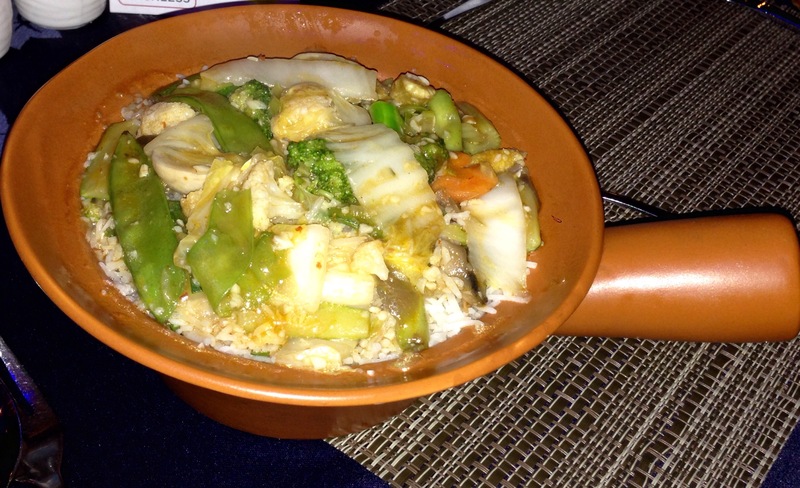 As the name suggests it is a clay pot with rice and vegetable curry on the top. Again this dish was a big hit with us. We were so full by now that if someone had given us blankets, we would have slept peacefully there. But still we made room for dessert. 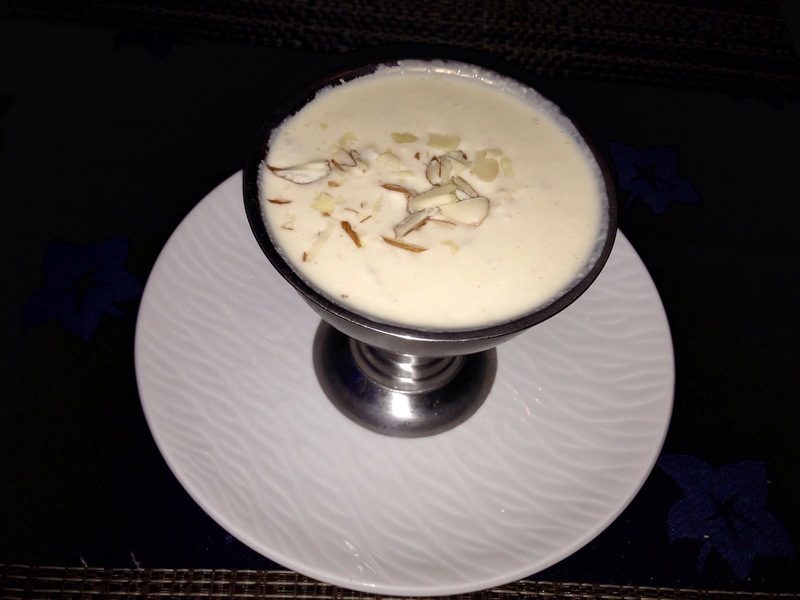 We had Licchi Ki Tehari, it is a home made dessert made with the fruit Licchi and milk. It was mouth wateringly delicious. We enjoyed our meal. The food was good. The ambience is good. It has a coastal and rustic feel. Though the restaurant is big and spacious, it is still very cosy. There is private dining area in the corner for families. They also have a bar. The pricing is reasonable, doesn’t burn a hole in the pocket. The portion size is good.The staff is very welcoming and helpful. The service is good, but a bit slow. Good food, great variety, lovely ambience and the prices not heavy on the pocket. Coastal Bait is a place worth trying. Disclaimer- I was an invited guest. But my reviews and opinions are straight from the heart,unbiased and honest. Thankyou for Your Nice Comments and Genuine Feedback Meghana Madam. Hoping to see you, your family and friends soon.